I attended a party/dinner downtown last night with my husband, and as he paid for our parking, I noticed the interesting juxtaposition of lines at the spot where a parking garage met an old office building. Night colors are always off and sort of reddish in iPhone photos, but I liked the result. 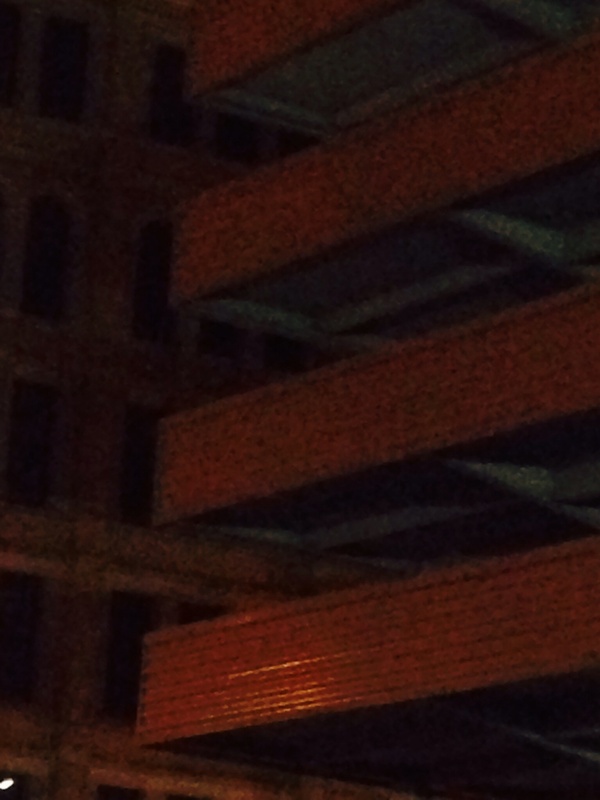 This entry was posted in architecture, Milwaukee and tagged parking garage, Parking structure, vertical and horizontal lines. Bookmark the permalink.